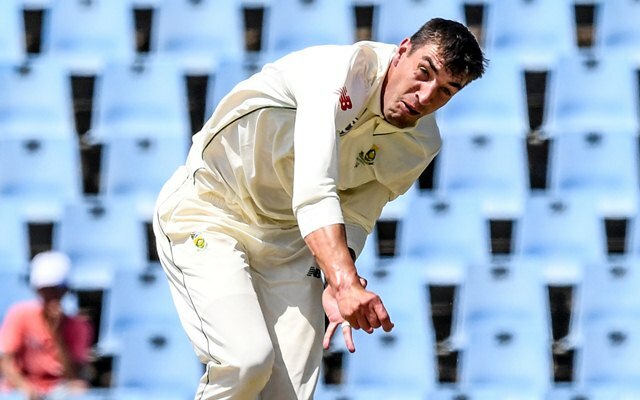 Duanne Olivier, who turned his back on international cricket earlier this year by signing the Kolpak deal, hopes for an extension to his Test career but with England. Olivier termed the decision as “possibly the most difficult decision” ever since he became the latest high-profile South African cricketer to quit the international scene after his contract with Yorkshire was signed. Quite ironically, Olivier was chosen as the replacement for the ex-South African fast bowler Kyle Abbott, who signed a Kolpak deal with Hampshire. Since his debut, the 26-year-old has bagged 48 wickets at an average of 19.25 in 10 Test matches. He was also the Man of the Series against Pakistan that saw him take 24 wickets over three Tests, in December 2018. Olivier, an aggressive fast bowler with great pace, was therefore considered one of South Africa cricket’s biggest treasures since the greats like Steyn and Philander are nearing their retirement. Naturally, Olivier’s quitting was a blow for the Proteas and the fans. However, the retired cricketer has made an unexpected statement that he wants to play Test cricket for England. “I accept that my Test career is over for South Africa but if I do well, hopefully in the future, I can play for England,” Olivier told England’s Daily Mail. “I realise some people will understand and some people won’t at all but it doesn’t really faze me what they think. At the end of the day, it’s about what I want to do. I want to see things going forward and I feel like my cricket will improve playing county cricket,” he concluded.